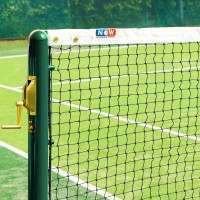 Brimming with professional quality, this championship tennis net features a double-layer 3.5mm braided HDPE net twine on the top 6 net meshes for added protection to the busiest part of the net. 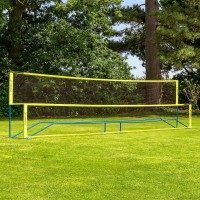 Quad-stitched using ultra-heavy-duty thread, the optic white headband has been manufactured using highly-durable polyester. 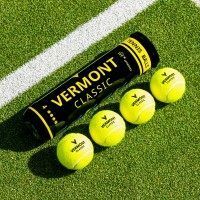 For increased weather-resistance, the headband features a vinyl-coating. 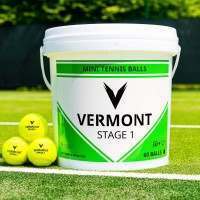 Like any of the Vermont Tennis Net range, this 33ft singles net is compatible with all standard tennis posts worldwide. 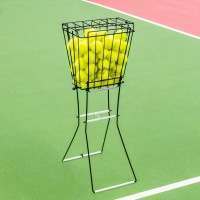 Net comes with a net headline wire cable included (loop & pin or double loop). 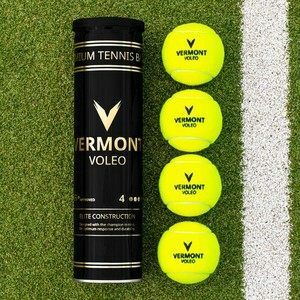 Incorporating all the world-class qualities of its doubles equivalent, the Vermont 3.5mm DT Championship Singles Tennis Net brings grand slam quality to any singles tennis court. 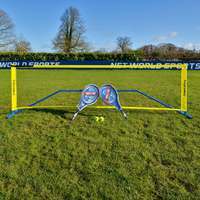 Perfectly suited to the best tennis courts in the world, this tennis net has been expertly designed to deliver an elite performance with world-class longevity. 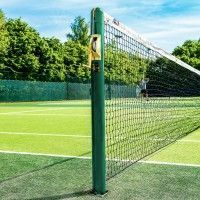 As well as the net, you’ll also receive a high-quality net headline wire, which is available in two styles; loop & pin or double loop, ensuring a quick and simple assembly to your tennis posts. Conforming with official ITF Tournament Regulations, this singles tennis net features the highest-quality materials available. 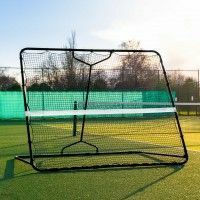 Manufactured using premium 3.5mm braided HDPE with a 45mm knotted mesh, this tennis net features a unique ‘double top’ design, which double-layers the top 6 meshes of the net for maximum impact-protection. 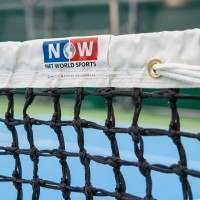 For even greater strength and durability, the UV treated net features machine-stitched rope edges for easy lacing to tennis posts and to prevent the net from fraying over time. 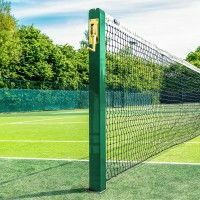 This championship tennis net has featured at world-renowned tennis venues such as Roland Garros & Melbourne Park and it’s easy to see why. Completing the impressive construction is the professional optic white headband. Quad-stitched using ultra-heavy-duty thread for supreme durability, the headband has been created using premium polyester and given an all-weather vinyl coating, allowing it to maintain its performance level in all weather conditions. 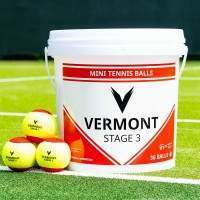 The robust nature of the stitching also ensures impacts from tennis balls won’t affect standards either. 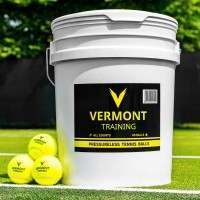 PLEASE NOTE: This Championship Tennis Net (33ft) comes with a PVC Coated Steel Tennis Net Headline Wire Included (Loop & Pin or Double Loop). Please select your style of cable above.